Students don’t need to know what to think, they need to know how to think. That means dedicated classes on how to evaluate arguments, analyze evidence, ask questions, and reflect on meaning - core critical thinking skills. In 2008, Canadian researcher Philip Abrami analyzed 117 studies into how to teach critical thinking effectively. The conclusion was very clear. Critical thinking skills develop students’ ability to learn more in all subjects. The best way to equip students with such skills is to have a critical thinking class on the timetable, as well as to teach it through all the curriculum subjects.  Macat's critical thinking solutions help educators to efficiently assess and develop students' critical thinking skills, giving them the tools to become 21st-century-ready leaders, innovators, and strategic thinkers. critical thinking assessments and teaching with minimum disruption. measureable improvements and see students grow. gifted, talented and needs assistance students. strategies for developing smarter, more productive students. students with critical thinking skills that they will use in education, work and life. the next generation of thinkers, leaders and innovators. Developed in partnership with leading academics, Macat Critical Thinking Assessment & Development combines comprehensive assessments, powerful analytics and engaging learning resources to create one complete critical thinking development solution. Analysis of the world's most influential books - proven to improve comprehension of the text and critical thinking skills - curated in one multimedia platform and delivered in text, audio and video.